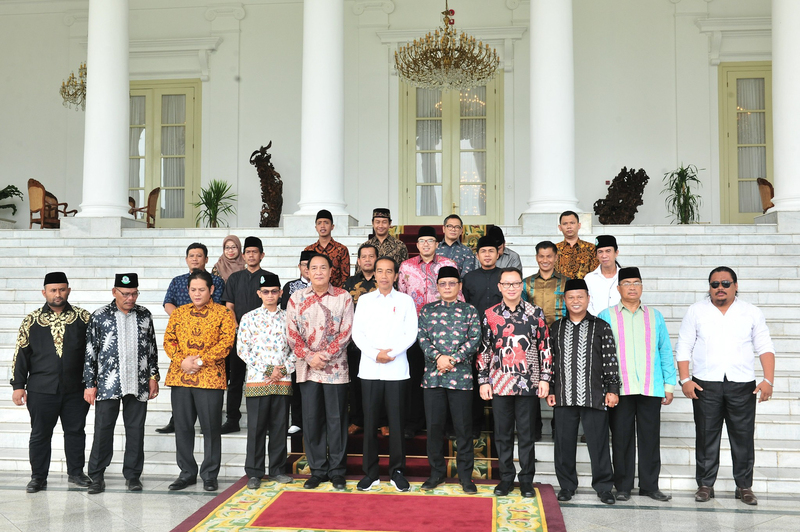 President Joko “Jokowi” Widodo on Monday (18/3) welcomed leaders of the Forum Betawi Rempug (FBR), a Jakarta-based ethnic-cultural mass organization, at Bogor Palace, West Java. After the meeting, Chairman of the FBR Lutfi Hakim told the press that they came to the meeting as representative of the Betawi community to express their gratitude to President Jokowi for his concern over traditional communities in Indonesia. Lutfi also cited an example of the Government’s concern to Betawi ethnic group, namely the newly launched banknotes which display a Betawi icon and a Betawi figure. “This is the first time a Betawi figure and a Betawi cultural symbol are printed in our banknote. 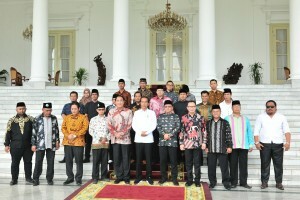 One in Rp100,000 (Betawi Mask Dance) and the other is in Rp2,000 (Betawi figure Mohammad Husni Thamrin),” Lutfi added.